Humor in nonprofit marketing can be a tricky thing. While consumer-facing businesses often employ it as a marketing slant, it can feel difficult—and sometimes, inappropriate—to use it as a nonprofit. After all, your work tends to be pretty serious. With the right strategy, however, humor can not only fit into your marketing strategy, it can be a powerful tool to engage your audience and draw them into your mission. Nonprofit marketing humor can be a great way to show your audience the human side of your organization. By cracking a playful joke or poking fun at yourself, you can delight supporters. They then associate those feelings of laughter and joy, however brief, with your organization. Beyond delighting your existing supporters, humor can also attract new supporters of specific demographics. Once you have their attention, you can introduce the depth and importance of your work, how it actually changes lives, and opportunities to get involved in your cause. Humor also can be the key to transform “unsexy” elements of your organization or work. 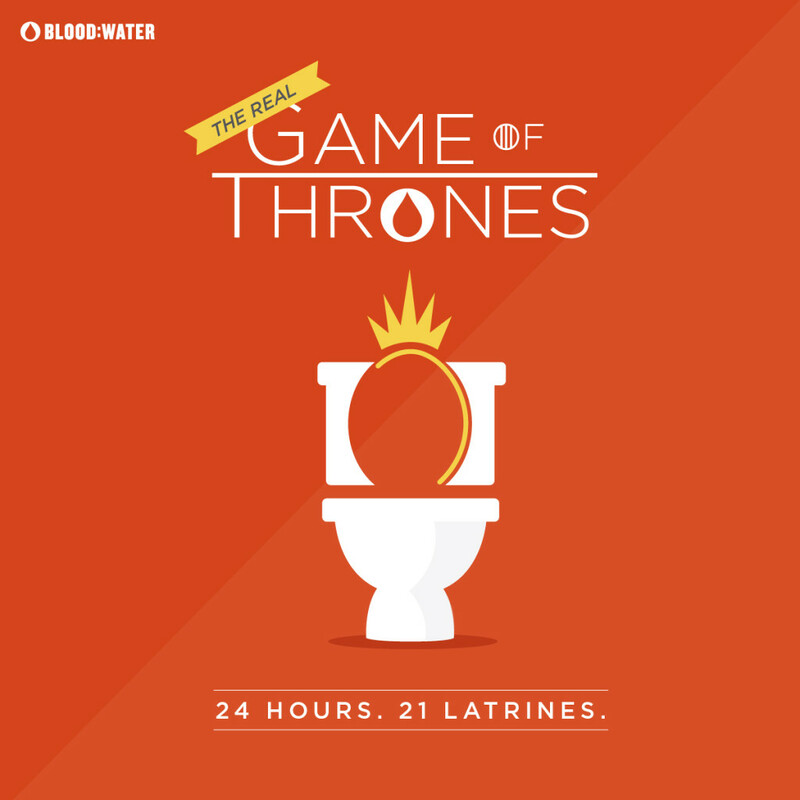 For example, take Blood:Water’s clever campaign, The Real Game of Thrones. In this fundraising campaign, they sought to raise enough money to build 21 latrines in 24 hours. Some organizations might have been daunted by the need to make toilets attention-grabbing and urgent—but not Blood:Water. They combined design and a pop culture reference to put a creative, lighthearted spin on their serious effort. Instead of mobilizing people through negative feelings like despair, guilt, or hopelessness, they used delight and laughter to attract supporters and incite action. Whether you’re running a crowdfunding campaign or your annual event, consider how humorous elements might fit, or put a spin on what you’re fundraising for. Have an event coming up? Get our free 10-week social media event promotion plan worksheet to make sure you’re ready for the big day. To leverage humor in a way that engages supporters, you’ll need to follow a few key steps. But before we dive into the how, let’s look at a few examples. Their video “Kitty Kommercial” was “entirely improvised and shot in around 30 minutes.” In just seven weeks, the video accumulated nearly 5 million views on YouTube. Picked up by The Huffington Post’s Entertainment section and referred to as a “low budget masterpiece,” Furkids Animal Rescue is proof that humor can be a powerful way to gain exposure—no matter your level of resources. Riddled with frog and toad-related puns, they used the power of wordplay to delight their potential donors and bring smiles to their faces. But what if your organization doesn’t, say, save cute animals? Old Spice is a deodorant company. They’re in the business of masking and preventing body odor. Not exactly glamourous. But that didn’t stop them from embracing their product and creating a silly and outrageous video. Quickly achieving “viral” status, the video is short, punchy, and memorable. The first step is to consider your audience and supporter base. Think through their characteristics and interests, and also those of any groups you’d like to attract. Are you trying to engage more millennials? Then you might make specific decisions around your marketing and humor that will attract this group. You’ll want to be strategic about how often and in what ways you inject humor into your marketing. Perhaps you want to slowly test out humorous posts on one social channel, like Twitter. If you decide to move forward with humor as a tactic, make sure you write guidelines into your style guide so that everyone on your team feels empowered to make decisions. To avoid confusing your audience, your style of humor should fit with the general tone and purpose of your organization. DiGiorno Pizza does a great job at keeping their humor in the pizza realm. A vast majority of their tweets are pizza-related jokes, such as the one below. Did you know that the average human thinks about pizza every 3.14 seconds? While a frozen pizza company might not be everyone’s first bet for a social media all-star, their active use of their channel and their humorous material has secured them over 100 thousand followers. To ensure your material isn’t going to fall flat, gather a group of test users that represents your target audiences. Ask them to review a few sample pieces of material and to give their honest reactions. If it’s a funny video on social, would they share it or like it? If it’s a clever email, would they click through to your campaign or forward it to a friend? One of the keys to effective nonprofit marketing humor is honesty. If you’re transparent, and know how to poke fun at yourself and a situation, it’s likely your audience will appreciate that. This Nordnet Bank commercial is an example of how your organization might poke fun at itself and use transparency to not only win a few laughs but seem more human, approachable, and relatable. Nonprofit marketing humor can feel intimidating. Most of the time, it seems to happen by accident. But you could, in fact, hire someone for that. Does anyone on your team have a knack for humor who might be interested in leading the team in this initiative? Consider letting someone take the humor reins for your team to ensure it’s a strategy that sticks. Humor is a powerful tool for creating affinity and zealots. Start testing it and implementing it into your marketing materials to connect with your community in an authentic, genuine, and human way. Want to learn more about hot marketing trends and best practices? Grab your ticket to the Collaborative and meet us in June!